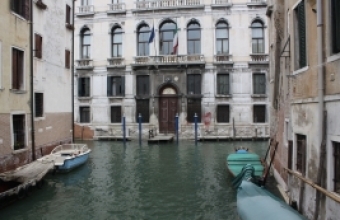 Venice - Whether you have never been to Venice or you are one of the millions of frequent return visitors, the instant you cast your eyes on this remarkable city it will take your breath away. Driven from their homes by Attila the Hun in 452, the Venetians were forced to settle on more than 100 low islands in the middle of a lagoon that flows into the Adriatic Sea. They slowly deforested the surrounding areas and drove the wooden pylons into the ground to form the foundations of the city. There are hundreds of waterfront and canal front developments around the world, but none have the history, beauty and character of Venice. Simply understanding some of this fascinating history will help you appreciate the city even more. 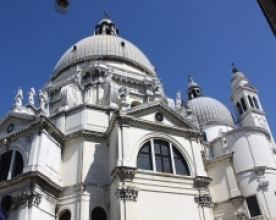 If you are visiting Venice try to have a full week as there is so much to see and do. My suggestion would be to attempt to walk down EVERY street because no two streets are alike and around every corner is a different perspective of this beautiful breathtaking city. Make sure you take comfortable walking shoes as the cobbled walkways can be uneven and you will have tired feet at the end of the day. 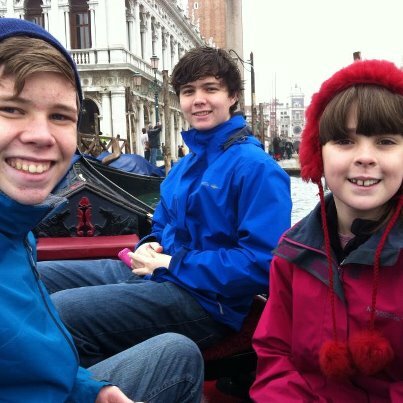 Venice is the city we think of when we think gondola ride. How romantic being taken on a journey through the canals and being serenaded by a local gondolier. Or if you prefer up to six people can fit on the gondola which makes it a little more cost effective. You will find that it is more expensive at night. Rates are usually set and for 40min however you can negotiate for longer. The gondoliers wear a uniform of striped shirt and black pants and usually a hat. There are gondola stops throughout Venice and no shortage of gondolas if you are looking for a ride. Hey it’s something that is a must as you may not ever get to Venice again to experience it. (not all gondoliers sing so if you want this make sure you ask the question first. One of the first things you will notice when you arrive in Venice is there are masks EVERYWHERE….you may wonder what the significance is? 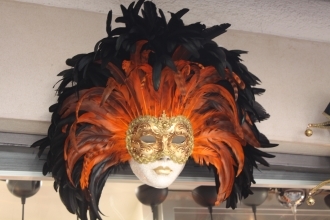 The Venetian masks are a centuries old tradition and normally worn during the Carnival of Venice. The mask were also often used by society to hide their face and allow the person to freely interact with others without giving away their identity. The Venetian mask has become a symbol of Venice and now plays a large part in their tourism attractions. Most of the masks you will see are ornamental and highly decorative with bright colors and silver or gold trims. When you are walking through the city you will see lots of tiny shops where you can watch them making the masks. Fine examples of art and architecture are to be found everywhere in Venice and you could be forgiven for thinking you were in a giant art gallery. Saint Mark’s Basilica lies at the eastern end of the Piazza San Marco and is the most famous Catholic Church in Venice. Architecture is Byzantine style of the 12th Century and took almost 800 years to build. The stunning mosaics, marble floors and spectacular statues make this well worth the visit. You may find that you will have to line up and wait for awhile to get in therefore it is advisable not to attempt to visit in peak hours or when bus tours or cruise ships are in. A dress code applies and ladies are not allowed to wear mini skirts or shorts, or have shoulders uncovered. It is really important to respect their tradition. Photographs are also not allowed inside the church. One of the most well known spots in Venice. The huge square, surrounded by restaurants and bustling waiters is a central point for activities and festive events. There is a constant cry of pigeons who call this square home and add to the atmosphere overall. On most days the square is full of tourists and locals alike, all enjoying the buzz and excitement of their surroundings. Enjoying a meal and watching the many types of people go by. Evening brings a different type of atmosphere as restaurants turn on their best entertainment and five star service. St Mark’s square has seen its share of floods and often you will see the remains of this with huge walking boards erected across the square for people to walk on. Flooding usually occurs at least once every year. This bridge is famous and often appears in television ads and brochures when referring to Venice. 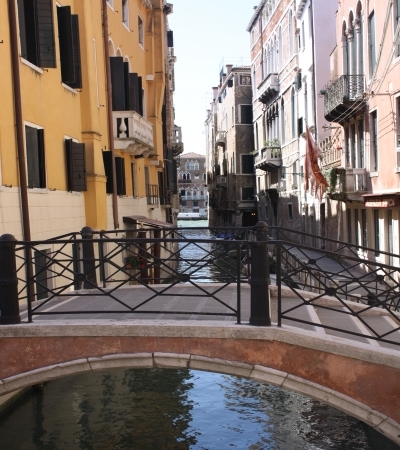 It is the oldest of four bridges that spans the Grand Canal separating San Marco from San Polo. On the east bank is the market used by most of the locals and across the bridge on either side is a row of tiny shops. The arches across the bridge make it quite unique and as such is one of the most photographed bridges in Venice. 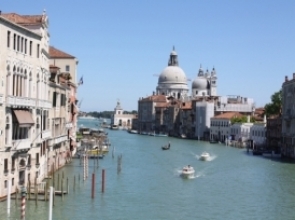 Venice is voted as one of the best holiday destinations in the world. Check out the other holiday destinations that have been voted the best holiday destinations. Send us your story, review or story about a holiday destination or experience in Venice or Italy.